Rose turned her back on the man she loves after he assisted the Englisch during World War II --- only to discover she's an Englischer herself. Was she meant to be Amish or would she have been better off growing up with her own kind --- Englischers? 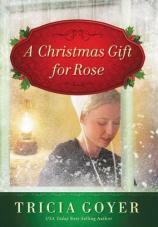 When the man she loves leaves her behind, Rose is certain he left for good. Yet Rose discovers sometimes our greatest gifts are the ones we fear.